WE ALWAYS GO THE EXTRA MILE FOR YOUR CHILD. WE CALL IT ‘PUTTING YOUR CHILD FIRST’. 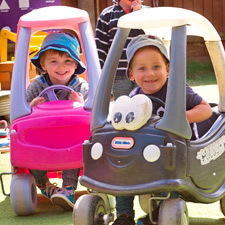 We are premium nursery group that provides quality childcare throughout Cambridgeshire Lincolnshire and Northamptonshire. Our passionate and experienced childcare team has been providing excellent quality childcare for more than 14 years. When you choose one of our private day nurseries you can be confident that you’re giving your child the best possible start in life. You need to feel comfortable and relaxed with your childcare choice. That’s why we believe there’s no better way than to see for yourself what Clarence House Day Nurseries has to offer. Find out more about a Clarence House Day nursery near you today and how your child could benefit from our outstanding ethos of Putting Your Child First. We know how important it is to make the right choice when it comes to childcare. After all, many of our staff are parents too. We take care of the babies, toddlers and preschool children of more than 500 families. Ultimately, we think it’s about happy, socially-adept children cared for in a safe and loving environment. 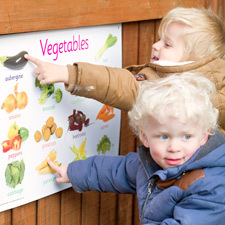 We have 8 nurseries in Cambridgeshire, Lincolnshire and Northamptonshire. We have been given a Top 20 Mid-Size Nursery Group in 2018 Award by DayNurseries.co.uk. Our group review score on www.daynurseries.co.uk is 9.5. All our nurseries have been rated Outstanding or Good by Ofsted. We have been awarded Good Food award by Children’s Food Trust for our meals and practices. Our nursery in Chatteris has been awarded Millie’s Mark and we are working towards having Millie’s Mark in all of our nurseries. We have been given a Top 10 Mid-Size Nursery Group in 2016 Award by DayNurseries.co.uk. Happy Child = Happy Parents! We look after children in more than 500 families. See what our existing customers have to say about us. Since my son started at Clarence House, he has come on leaps and bounds. The staff are lovely, caring and brilliant with him! It is a clean, fun and safe environment. He learns something new every day and has good bonds with the staff. 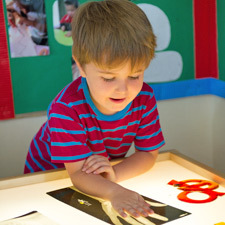 Lovely nursery, staff are very polite and understand the individual needs of each child. They have a great variety of activities and food to provide babies and older children. Lovely atmosphere, very positive and give children loads to learn. My son is very happy here and this is good for me as I have returned to work. Very pleased. I am very pleased with the care my daughter is receiving at the nursery. The nursery itself has got a beautiful garden, as well as this the staff are very attentive and the manager is knowledgeable and welcoming. Always have a good feedback about my daughters day and she brings home lots of art work. We love this nursery, it has been a home from home for our son since day one! The atmosphere is friendly and relaxed and we love receiving online reports (with pictures!) and daily notes about what our little one has been up to. Would definitely recommend, in fact, we have several times already! Fabulous nursery! Having looked at numerous nurseries prior to returning to work, this was the only nursery I felt like I wanted to sit down with my child and play, to join in the fun! It has a very homely feel which makes you feel comfortable and the team are very welcoming. The team have helped our child settle into nursery well and I am confident of the level of care provided whilst I am at work. They are very proactive in aiding development whilst ensuring the children have fun. Caring staff, good rapport, nice clean environment, very homely, well equipped to suit all ages and to aid stimulation through play and learning. Excellent meals. I feel so happy when I have gone to work that my children are in safe caring hands. Everyone makes you feel so welcome it’s like home to home for my kids. This nursery has worked around me and my children’s needs so well. My kids have never cried when I have left them and sometimes I struggle to get them to come away. I would recommend this nursery to anyone that wants to feel happy and safe. I would highly recommended Clarence House Day Nursery to all my friends and family as the staff are so friendly and knowledgeable. Each and every member of staff are like second mothers to my son and he is really happy to come to nursery every day.